My sister used to work for a book publisher, so she got tons of free books. 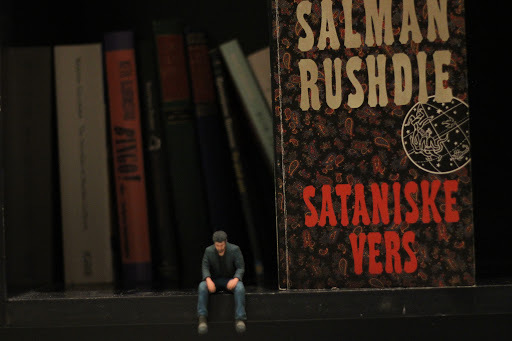 The Satanic Verses by Salman Rushdie was probably one of them, which explains why I’ve got it. It’s better than I expected. It’s written in a very late-80s coke-fuelled wide-eye manic way, with one tableaux after another. Quite entertaining, but some of it drags. The book hasn’t aged well. For instance, the magic realism. When all the people in the hospital turned into creatures from fables, it just made me start rolling my eyes. Do you have any idea how hard it is to read while you’re rolling your eyes? But it’s not bad. Bits of it are very inventive and exciting, even if the post-modern excoticism wears you down a bit. It’s funny, though.